Scandinavian Airshow Grumman Ag-Cat with the skycats on both wings. 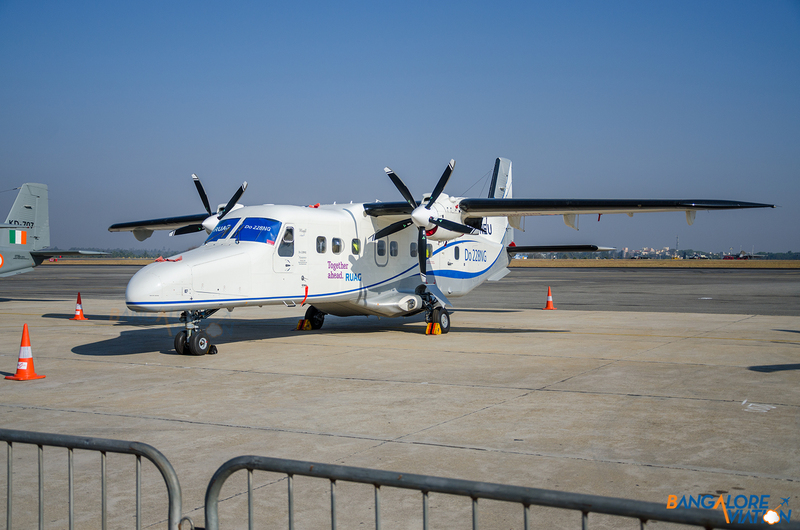 With the latest issue of Aero India having winded down last Sunday, we have been hard at work sorting through our pictures of the show. While there was no major news at the show, there was as always a fascinating display of various aircraft being put through their paces. We have composed this gallery of photos from the show, please click on any image to enlarge it. 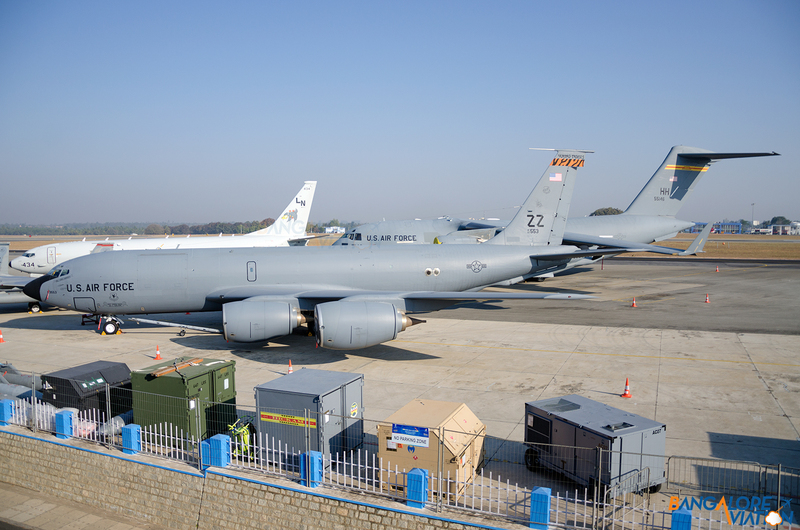 The Boeing KC-135R which accompanied the F-16s non stop from Japan. The great tease – The F-15E Strike Eagle which everyone wanted to see fly. Indian Air Force Sepecat Jaguar arriving for static display. 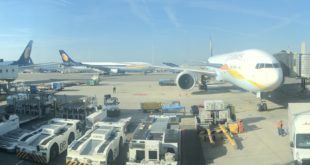 The Boeing Business Jet which carried Prime Minister Modi to the show. The PM’s BMW ferrying him to the inauguration area. 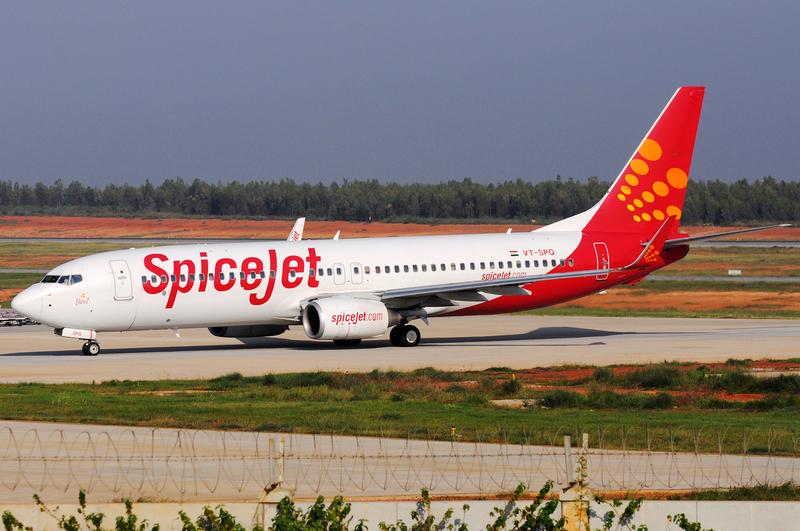 The BBJ departing empty to HAL Airport. 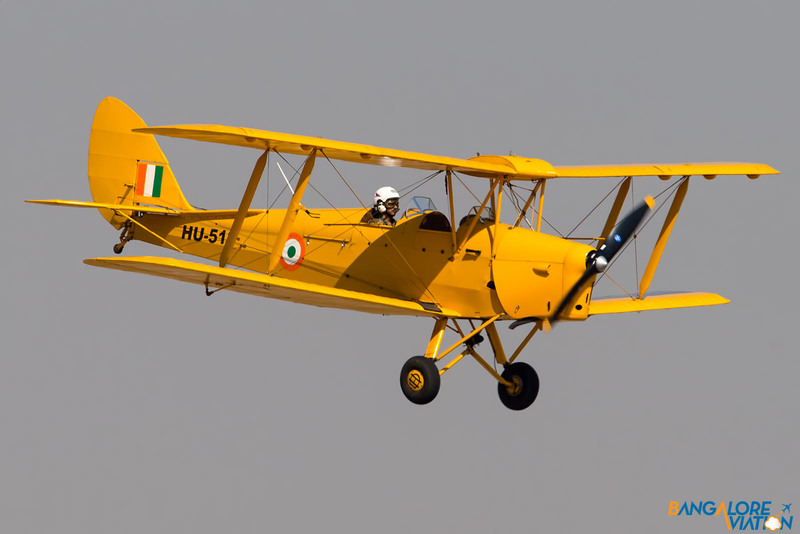 The standard flag bearer of the show – The IAF Tiger Moth. The HAL Tejas (LCA) departing for it’s display. The Tiger Moth making a slow and graceful landing. The Scandinavian Airshow Viking performing a impressive side slide. HAL Tejas during it’s display. A new addition to the show, the Yakolevs, flying three Yak-50s and a Yak-52. The Viking performing a daring stall and recovery. 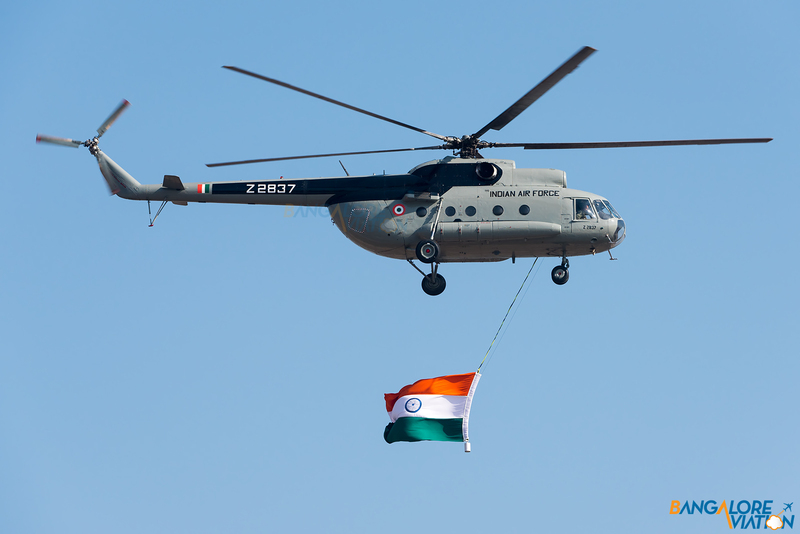 IAF Mil Mi-8T carrying the Indian Tricolor. The Flying Bulls, unfortunately these guys got into an accident on the second day of the show. 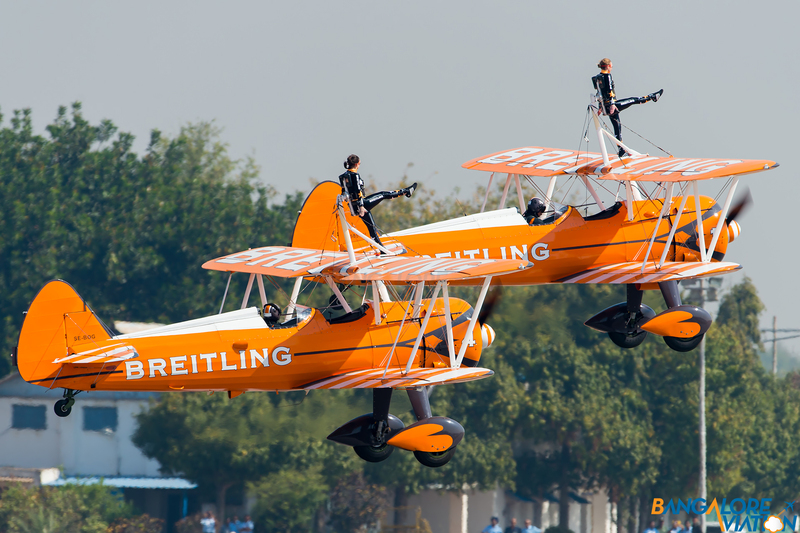 One of the Breitling Wing Walkers. 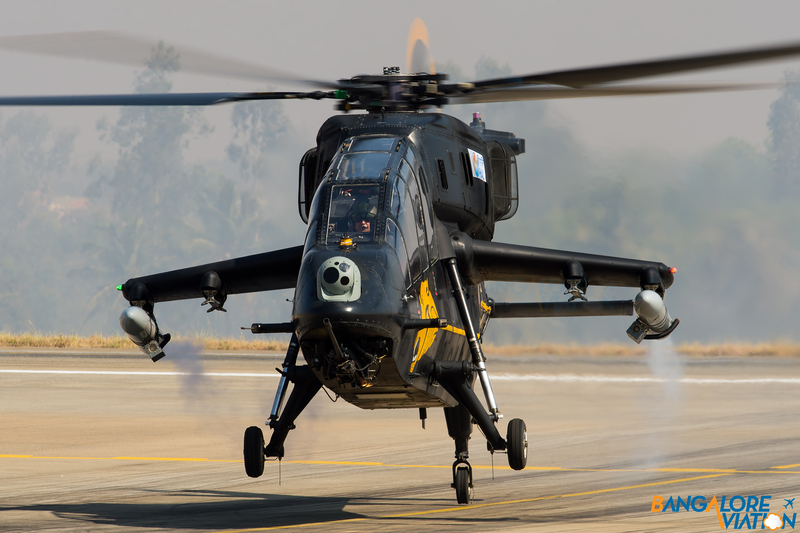 The IAF HAL Light Combat Helicopter arriving on the morning of the show. Yakolevs climbing vertically to begin performing the caterpillar loop. 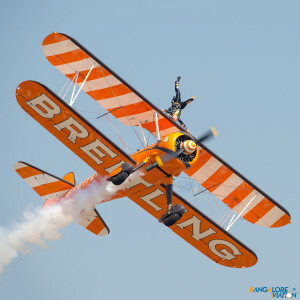 The Wing Walkers performing daring, some would say crazy aerobatics. 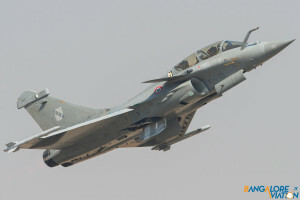 The Dassault Rafale climbing straight into the sky with its afterburners on full. The LCH leaving a trail of vortices as it was ending it’s display. Mirror Images, talk about incredible synchronization. A flypast during a phenomenal display. 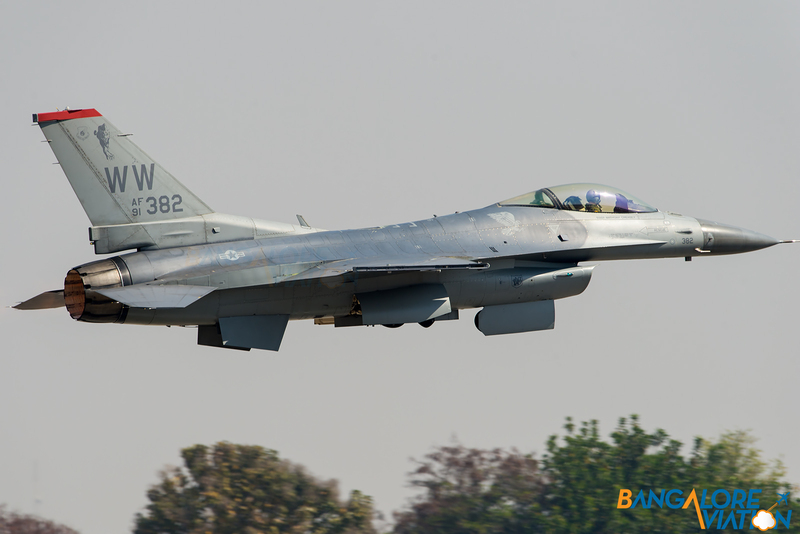 The USAF Lockheed Martin F-16D from the Pacific Display Team. Sepecat Jaguar backtracking down the runway. Condensation and Afterburners, the F-16 pulling a sharp right turn. 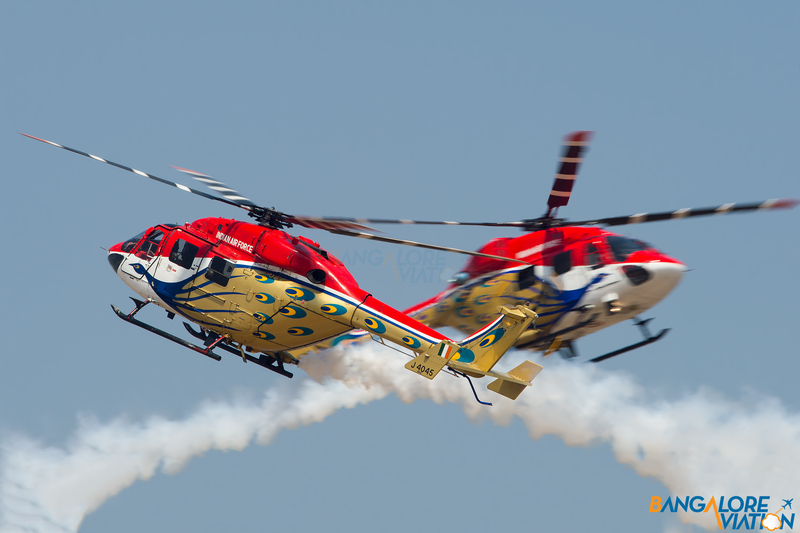 The Sarang Helicopter Display team, using the Indian built HAL Dhruv. The F-16 landing after it’s display, observe it’s signature spoilers near it’s tail. 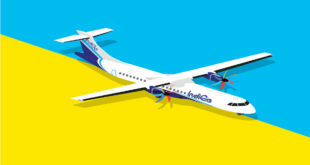 Sarang Three being flown by Squadron Leader Deepika Misra. The first female Sarang pilot. 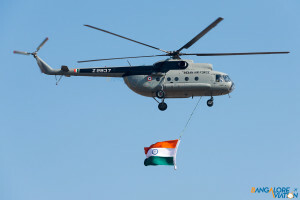 The Ag-Cat trailing the Tricolour behind it in brilliant display. 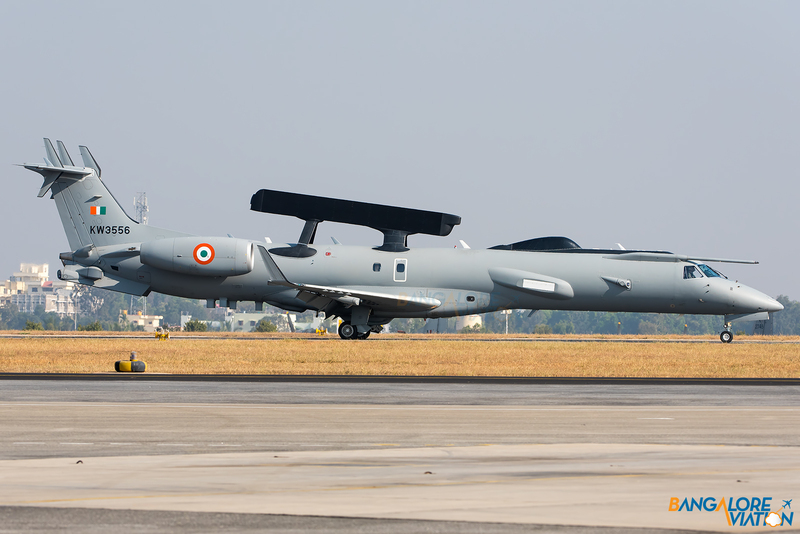 The IAF C-17 Globemaster III. 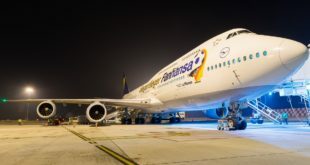 An old workhorse waiting in the morning sun – HAL HS748. 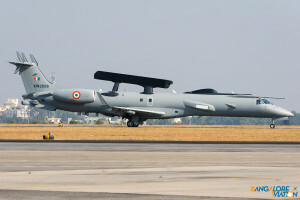 The Gajraj – Ilyusian IL-76MD.